with select Business Internet or SmartWiFi plans on a 3-year term. Choose the features that match your type of user and pay only for what you need. Create conference calls in real-time without booking shared resources. Use instant messaging, video conferencing and desktop sharing to enhance conversations. Use auto attendant, hunt groups and call queuing to put a professional foot forward. Access to cloud updating ensures you always have the latest features. Customize features and route calls without IT help using an online portal. Your employees don’t need to sit at a desk to stay connected. Record, store and playback calls for training, compliance or quality purposes. Transfer calls efficiently with your own virtual receptionist. Easily manage contacts and calls with an intuitive web-based interface. Leave the hassle of hardware and software setup to us. 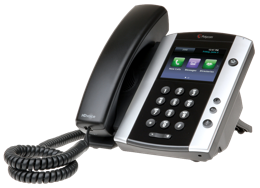 Conduct business more clearly and easily with versatile and intuitive office phones. Master your technology alongside our highly skilled experts. Business Internet. Add Internet Services starting at $80.00/mo≡ on a 3-year term. All plans include voicemail-to-email, on-hold music and HD-quality voice features. Looking for something simpler? We also offer a basic business phone plan. Use a separate business number on your mobile phone. Keep the conversations moving with instant message and three-way calling. 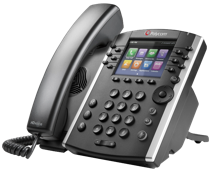 VOIP phone emergency 9-1-1 features differ from traditional 9-1-1 services. Visit business.shaw.ca/smartvoice911 for more information. ≡ Price shown for is for Business Internet 75 on a three-year term at $80.00/mo.